Company Profile (excerpt from Reuters): The Kraft Heinz Company (Kraft Heinz), incorporated on February 8, 2013, is a food and beverage company. The Company is engaged in the manufacturing and marketing of food and beverage products, including condiments and sauces, cheese and dairy, meals, meats, refreshment beverages, coffee and other grocery products. The Company’s segments include the United States, Canada and Europe. The Company’s remaining businesses are combined as Rest of World. The Rest of World consists of Latin America and Asia, Middle East and Africa (AMEA). The Company provides products for various occasions whether at home, in restaurants or on the go. The Company’s brands include Heinz, Kraft, Oscar Mayer, Philadelphia, Planters, Velveeta, Lunchables, Maxwell House, Capri Sun, and Ore-Ida. The Company’s products are sold through its own sales organizations and through independent brokers, agents and distributors to chain, wholesale, cooperative and independent grocery accounts, convenience stores, drug stores, value stores, bakeries, pharmacies, mass merchants, club stores, foodservice distributors and institutions, including hotels, restaurants, hospitals, healthcare facilities and certain government agencies. Kraft Heinz Co does not satisfy the requirements of either the Enterprising Investor or the more conservative Defensive Investor. The Defensive Investor is concerned with the low current ratio, insufficient earnings stability or growth over the last ten years, and the poor dividend history, and the high PEmg ratio. The Enterprising Investor has concerns regarding the level of debt relative to the current assets, and the lack of earnings stability or growth over the last five years. As a result, all value investors following the ModernGraham approach should explore other opportunities at this time or proceed cautiously with a speculative attitude. 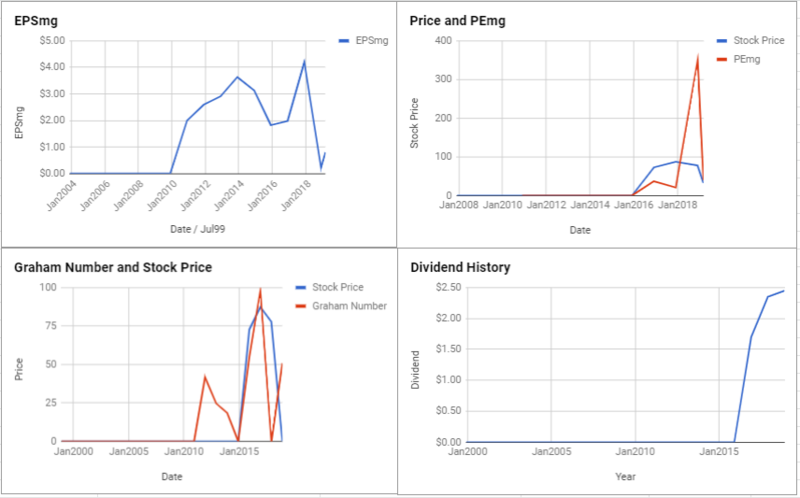 As for a valuation, the company appears to be Overvalued after seeing its EPSmg (normalized earnings) decline from $1.82 in 2015 to an estimated $0.8 for 2019. This level of demonstrated earnings growth does not support the market’s implied estimate of 15.81% annual earnings growth over the next 7-10 years. 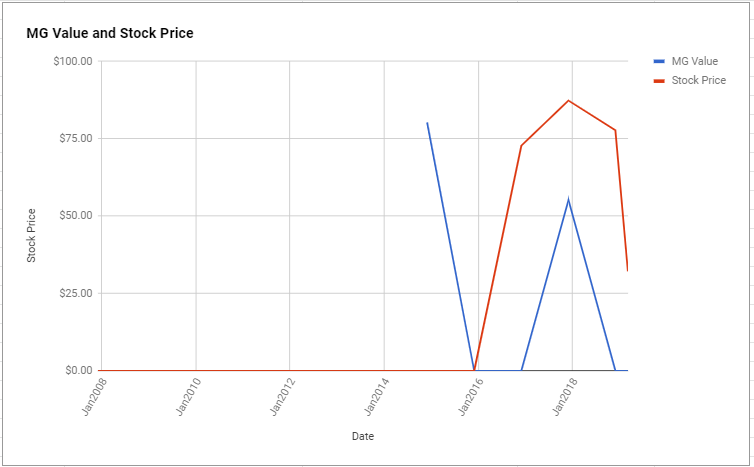 As a result, the ModernGraham valuation model, based on the Benjamin Graham value investing formula, returns an estimate of intrinsic value below the price. At the time of valuation, further research into Kraft Heinz Co revealed the company was trading below its Graham Number of $50.71. The company pays a dividend of $2.5 per share, for a yield of 7.8%, putting it among the best dividend paying stocks today. 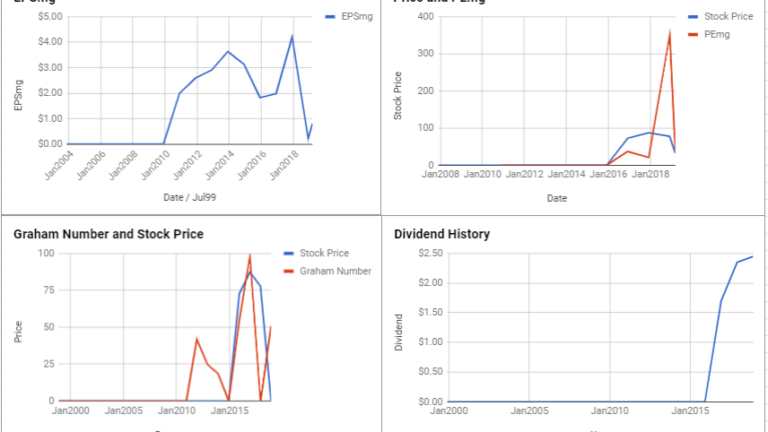 Its PEmg (price over earnings per share – ModernGraham) was 40.12, which was above the industry average of 26.89. Finally, the company was trading above its Net Current Asset Value (NCAV) of $-34.95. Kraft Heinz Co receives an average overall rating in the ModernGraham grading system, scoring a C-.